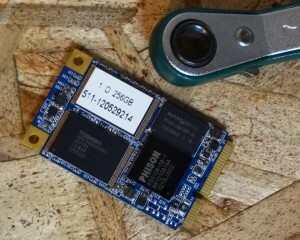 If you are in the market for a mSATA SSD, we guarantee this article is going to be one of the best finds for some time. MyDigitalSSD just released two mSATA versions of SSDs, the value oriented Bullet Proof 3 and the Smart Series for those loving that lightning fast ‘LSI SandForce Drive’ performance that we have come to know. As much as these are the best prices yet for this form factor, the ‘scoop’ truly lies in the manufacture of the ‘SandForce Driven’ 256GB Smart SSD family which is great news.